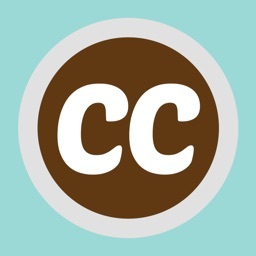 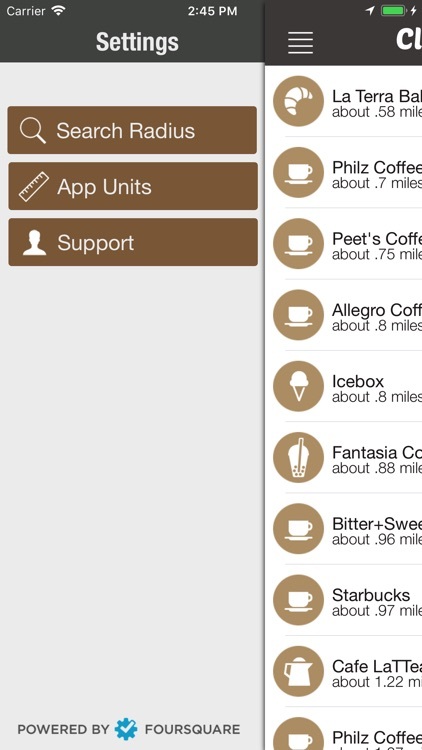 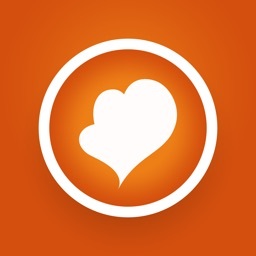 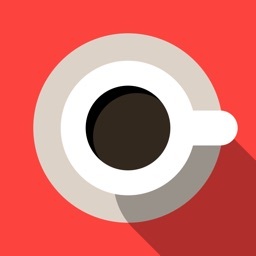 Instead checking apps for all the coffee shop chains, why not use the Closest Cup app to find the best local coffee shop nearby. 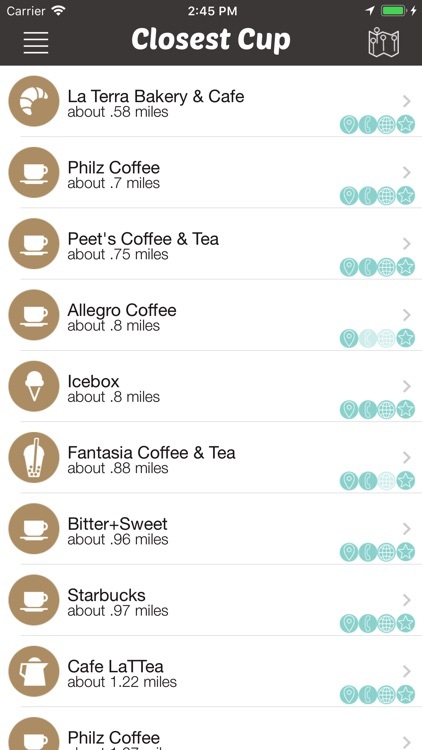 Closest Cup gives you a list of the local coffee shops near your location. 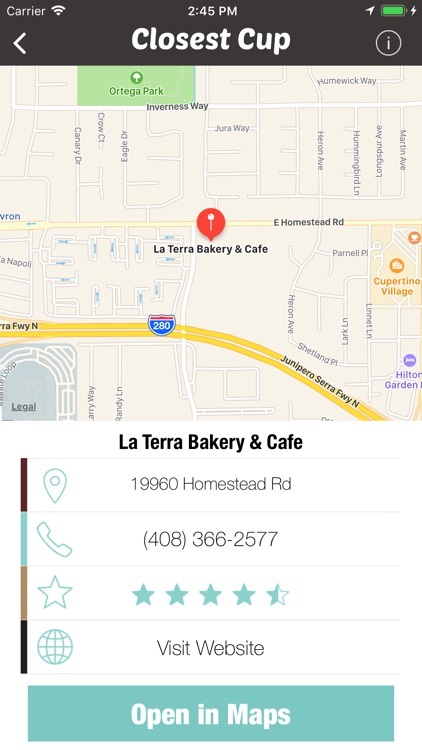 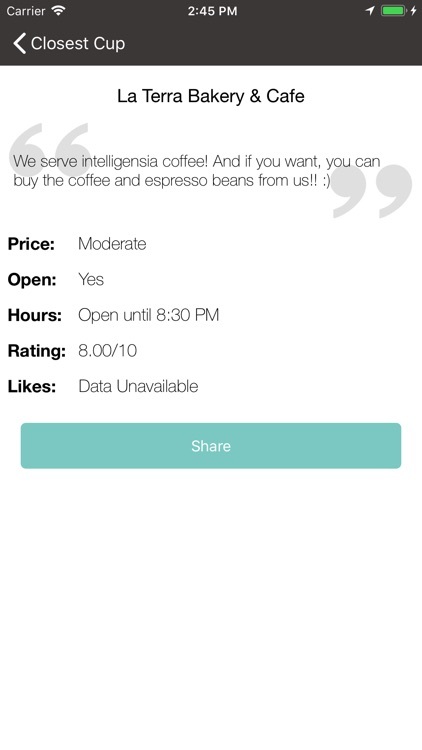 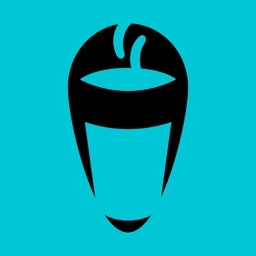 With contact information, local ratings, and a customizable search range, your next cup of coffee is a tap away. 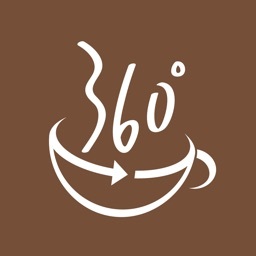 Whether you’re a coffee connoisseur or an average Joe (pun totally intended), Closest Cup will help you find the closest place you can buy a cup of coffee. 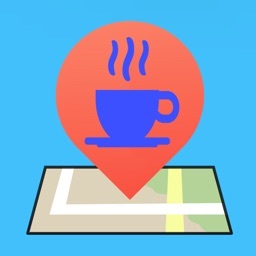 Just select a venue, click “Open in Maps”, and you’re on your way to enjoying a cup of coffee.